AeroScale :: Any tips for masking canopies? Any tips for masking canopies? Can anyone share tips or techniques etc? should I be using another material etc? I use Tamiya tape all the time. The way I do it is to cut some very thin strips and place these around the edges of the masked areas first. The thin strips are much easier to get in nice and tight and to burnish down with a toothpick. Then I fill in the area with a larger piece or maybe two, which don't have to be cut exactly to shape, they just have to ovelap the edge pieces. You can see it in this shot af a P-47 where there's multiple small pieces in each square of glass. If you want to certain that there is no paint getting under the tape you can give the canopy a thin coat of clear AFTER you mask but BEFORE you paint, this seals the edges, then you go around with a sharp knife and cut along the edge of the tape before you peel it off. For me it's gotta be Bare Metal Foil. BMF is about £5 for a A5 sheet but that'll do loads of canopies. could end up cutting through it. In this case I fall back to tamiya tape strips cut fine or I don't mask at all and use thin strips of decal film painted the right colour to make the framing. The thin strips of tape method is great it is just time consuming compared to the BMF trick. Another variation on a theme is outline the framing with strips of tape and use masking fluid to complete the mask. Beware using this with laquers though as it can eat through the masking fluid. I use BMF and dip my canopies in Klear before i do.after if you have any residue left over after removing mask just remove with a ear bud and some rubbing alcohol,then just brush back on some Klesr snd wawlaw,CANOPIE perfecto every time. I do mine the same as Noah but I use the blue painter's tape instead. I recommend a new or newly sharpened blade to really make it easy to get the tape cut to the exact size/angle for a better fit/mask. I like that idea about express masks,I find it really frustrating thus far with all methods tried, aftermarket canopies are easier to work with I assume. 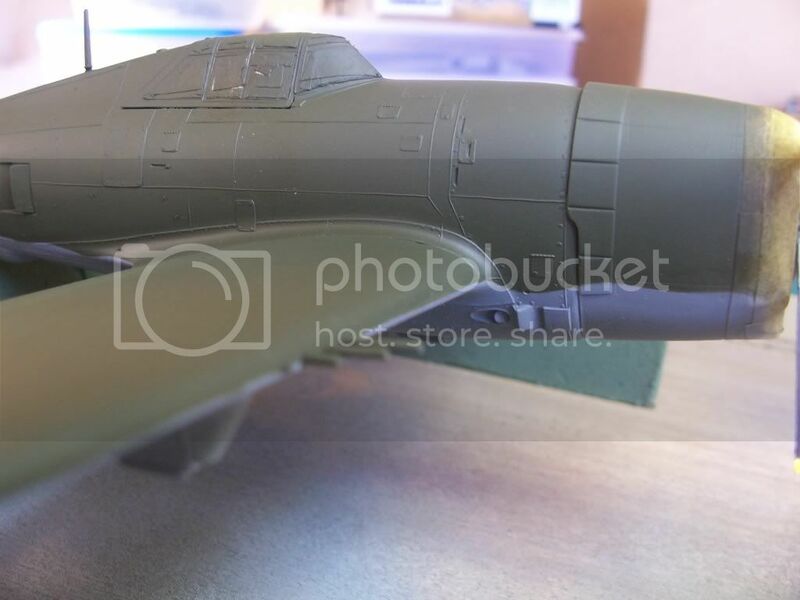 Express masks are indeed the easiest way to go...I've certainly gone that route, especially for larger 1/72 scale projects, such as an He-111 - too many windows . However, 99% of my builds are done using Damian's method, of thin strips of Tamiya Tape. It takes a while to get used to it, but when you finally get comfortable, you'll actually prefer to use this method over express masks. I've actually masked off 1/144 scale canopies using Tamiya Tape...my eyesight was shot to ribbons, but I did it. For me it is tamiya tape as well, using the same technique as Damian explained. But how are you folks doing camouflage patterns? I am masking off a raiden jack canopy with jammy dog's ultrathin tape, this is first attempt and am hoping for the best since if I trash it then what? this tamiya model probably does not have th best quality canopy.I bought four raiden jacks and hope to get at least one of the canopys right? Express masks for me. I'm terrible when it comes to using tape and just plain lazy. Before I apply the mask, I dip the canopy in Future which beside protecting the canopy, it prevents foggy when gluing and gives it a nice shine. I have never used any masking for painting canopies . Always do it free hand . However though the guy's have some great tips on this . Eduard mask are great to use , just make sure you bruish down the edges very well before painting . Tamiya tape is also great if you don't mind the time it takes to mask . I WASusing a combination of Blue-Tac, to give a slight overspray effect along the edges, and Tamiya tape to prevent too much overspray, but after having a couple of practice runs on hack kits I just freehand now with the airbrush. I use the finest tip and the lowest pressure with quite thin paint. I mainly use Tamiya Acrylics at about 50/50. This is a 1/48 Fiat G50 that was my first real go at freehand and I don't think I'll ever go back. Hi Guys, I am an armour modeler getting back into airplanes. On the armour side of things some of us use micro mask from Microscale. You paint it on the areas you don't want covered then spray or paint the areas you do want covered. Aftwards you just peel it off and your done. I would think it would work for canopies. If you can obtain it from your local provider, Parafilm works great. It takes some practice, but after using Tamiya masking tape, I am beginning to prefer parafilm, only because it is clear, and a bit easier to see where to cut. I use Eduard masks on anything with a fair amount of glazing wherever I can. On WW2 fighters (and modern jets) I tend to just use Tamiya masking tape, as they don't tend to have too much framing to worry about. Eduard mask saves you loads of time and effort on things like HEIII's and the Beaufort I'm currently building. just done my first canopy with Humbrol Maskol. Read some terrible reviews about this stuff, but if your frames are engraved you just let it flow up to and along the edges, apply with a toothpick or similar, let it harden, apply paint and just peel off..
Daft question related to canopies: after dipping in Future (drying) and masking, I'm assuming the paint wont attack the Future? Do I have to be careful what paint I use on Future (enamel vs. say, lacquer)? I've used acrylics, enamels and Alclad over Future/Klear without problems. The only problem I had with future-dipped canopies was when scoring along the edges of the frames with a hobby knife. I had read several articles that mentioned it helped prevent paint lifting. After a while I noticed it did nothing but cause just that, at least for me. No more cutting along the canopy frames for me. I guess cutting around the frames before removing masks could be of help if the coat of paint was thicker, the paints harder or something, but personally I haven't had any issues with just peeling the masks off.